Strathmore Pure Tints (left) and Canson Mi-Teintes. When working with pastels or chalk, you can greatly change the look of your drawings by choosing different papers. 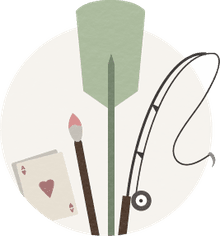 There are many options available and a few styles that many artists prefer with this medium. Deciding which is best for your work will depend on your style and the effects you're going for. Let's explore a few recommendations that will guide you in finding the perfect paper. The most popular papers for general pastel and chalk drawing are colored, textured specialty pastel papers such as Strathmore Pure Tints and Canson Mi-Teintes. These textured surfaces typically have a fine, irregular texture pressed into the surface during manufacture. This is meant to mimic the natural irregularities of mold-made paper. Personal taste is a big factor in your choice of paper. For instance, some artists love the open, regular pattern of Mi-Teintes and use nothing else. At the same time, others find the texture harsh and artificial. Laid paper is another good choice for pastel and chalk. 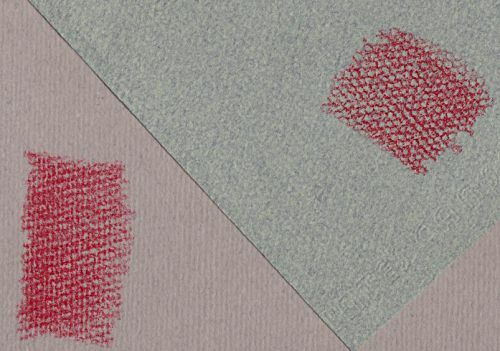 Pastel papers with a laid surface have a texture of parallel lines which is clearly visible in the drawing. This is a very old style of paper and is often favored for portrait sketches and figure drawings. Papers to look for in this category include Canson Ingres, Hahnemühle Ingres, Hahnemühle Bugra Pastel Paper, and Strathmore 500 Series Charcoal Paper. The tooth and hardness of the paper itself vary according to the manufacturer, though most have a rather hard surface with just enough tooth to hold the medium. In comparison, however, the actual tooth of this type of pastel paper is quite fine and will only hold a couple of layers of pastel or chalk. If you enjoy working heavily layered pastel paintings, you need a much "toothier" sanded or velours surface. Good options for this include Art Spectrum Colorfix or Ampersand Pastelbord, Sennelier La Carte Pastel Card, and the excellent Wallis Sanded Pastel Paper. Unlike many other mediums, pastel papers are available in a great range of colors, as well as black. That means you're not stuck with white, off-white, or cream for the surface of your pastel drawings. You can have a lot of fun with the base color, though it can be overwhelming at times. If you are going to leave a lot of blank paper, a neutral to mid-tone can be the most effective base. For the "trois crayons" technique, a medium cream or gray paper is used. These make a great base for the red, white, and black chalks because white highlights and dark tones are added as you draw. Black or dark paper can look effective when used selectively for the right drawing. You will need to carefully observe and draw the lights and highlights. For more developed "pastel paintings," artists will often choose a contrasting undertone and typically one that is quite bright. With this paper choice, small slivers will appear as a unifying element throughout the picture. Do be aware that in large areas, these strong tones can become overpowering. What Are the Best Drawing Papers Available for Graphite Drawings?